Stamps.com gives you the world… for less! Save up to 5% on First Class Package International Service, up to 5% on Priority Mail International® and up to 5% on Priority Mail Express International™. Imagine how much that could save you every year! And with Stamps.com International, you’ll also SAVE TIME with our automated customs forms and easy-to-use software. No more filling out those complicated forms by hand. No more going to the Post Office! Just a few clicks and your package is on its way. It's just another way Stamps.com saves you time and money every day. 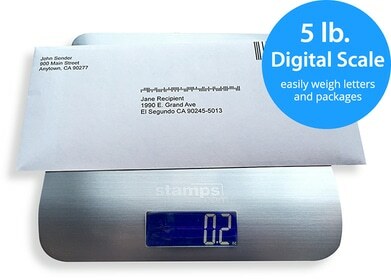 USPS International shipping rates are based on weight and destination. Please note: The discounts are applied only if you use the international postage section of the Stamps.com software; they are not available if you use the stamps section. Flat Rate Box Priority Mail Express International Flat Rate Box Was discontinued in January 2016. Priority Mail Express International Flat Rate Box Was discontinued in January 2016.